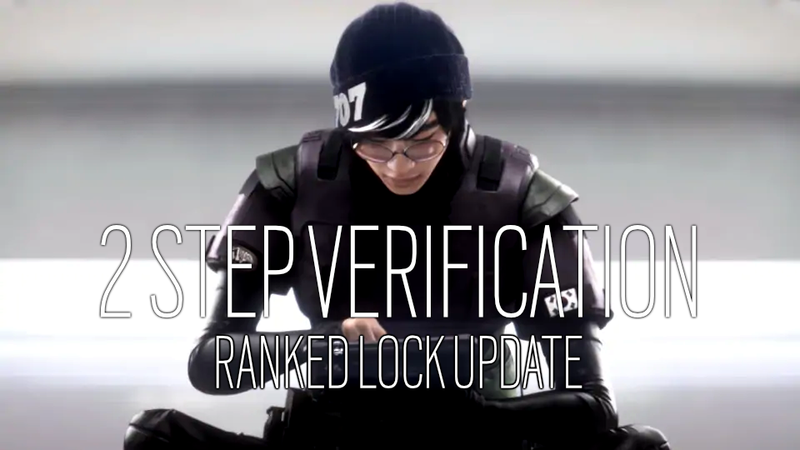 Earlier this year, we announced our plans to activate mandatory Two Step Verification[rainbow6.ubisoft.com] in order to play Ranked. We are excited to announce that ranked lock will be activated on December 11th, 2018 in Europe, Middle East, North America and South America. If you are playing on the data centers for these regions and you want to play Ranked, you will need to have 2 Step Verification activated on your account by December 11th. For APAC data centers (include the data centers here), this lock will happen at a later date. 2-Step Verification is a system that allows you to add an extra layer of security to your account. You can find more info here[support.ubi.com]. How do I activate 2SV? You can find a complete guide of how to activate 2SV in this article[rainbow6.ubisoft.com] or in our Support page[support.ubi.com]. Why do I need to activate it in order to play ranked? Account security is very important to us, and this is the next step to ensure that players participating in Ranked have a secured account. What do I get for enabling 2SV? The possibility to play Ranked after December 11th. A free Thermite bundle if you activate 2SV before December 11th. Why is the lock not happening in all regions at the same time? EU and NA have enough players with 2FA enabled to ensure a positive matchmaking experience. What happens if I don’t enable 2SV? You will still be able to access the game and play Situations, Terrorist Hunt and Casual, but not Ranked. I am having issues accessing my account because of 2SV, what do I do? Make sure that your application is synchronised, here[support.ubi.com] is how. What if I lose my authenticator and my back up codes? If you need to deactivate 2SV, here[support.ubi.com] is a full guide about how to do it. I play on console; do I need to activate 2SV to play ranked? No, this requirement only affects PC players. Can I get the Thermite skin even if I play on console? No, this reward is only available for PC players.